Laurie Newman is suffering from a progressive and debilitating form of multiple sclerosis (MS), and she desperately needs your help. MS is a disease of the central nervous system, where the immune system attacks the protective myelin sheath that covers nerve fibers. Eventually, the disease can cause the nerves to deteriorate or become permanently damaged. 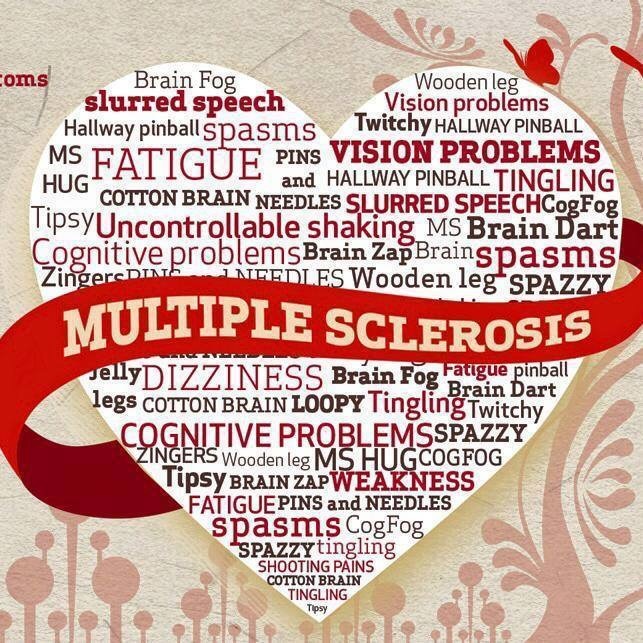 Laurie’s MS symptoms have now become unmanageable and even walking has become increasingly difficult. Laurie uses a cane and sometimes a walker as a result of muscle weakness and poor balance, and her disease continues to progress. Unfortunately, Laurie has not responded well to conventional therapies and medications, and she is seeking more advanced and alternative treatment options to halt the progression of her disease. Laurie is determined to get better, and has recently learned of a promising treatment known as non-embryonic stem-cell therapy (HSCT) in an effort to stop her MS and even help reverse some of her existing symptoms. 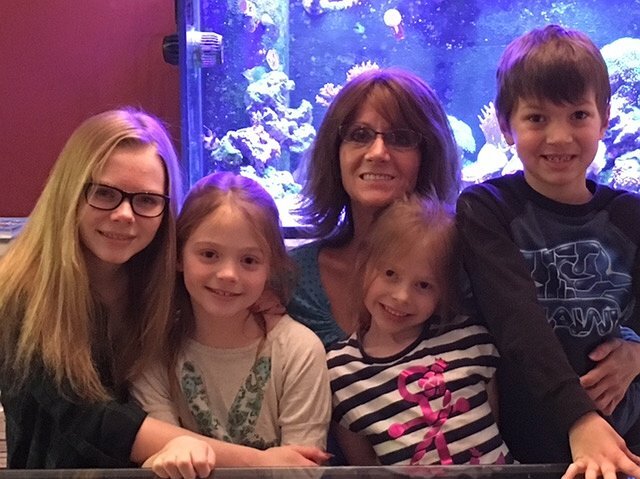 Laurie spends her free time with both family and friends, and her four young grandchildren (Makenna, Olivia, Brayden, and Lillianna) are the apple of her eye! Since Laurie has become sicker, she is no longer able to enjoy the small things that most people take for granted — simple walks, outings at the park, or a day at the zoo with her grandkids no longer exists. Sadly, Laurie’s grandkids have only known their grandma to be in pain and without the energy to enjoy their time together. Their greatest wish is that someday their grandma will be well enough to spend the day at the beach together, go shopping at the local mall, or even out for ice cream on a hot summer’s day. HSCT therapy will potentially provide Laurie the opportunity to say goodbye to MS forever, and even reverse many of her present symptoms. This is where Laurie needs the support, love and prayers from her community, family and friends. While Laurie was approved for HSCT, the cost to fund this procedure is monumental. Laurie’s health insurance will not cover the cost of this treatment, and she is required to travel and stay for an extended period of time overseas. HSCT is currently approved in Mexico, where Laurie has qualified and is approved for treatment. She is also required to take supplements, post-transplant medications and follow-up medical appointments. 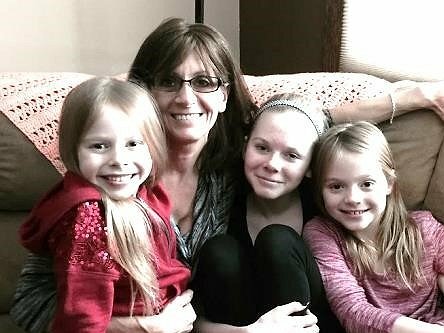 But without your help, Laurie cannot afford the tens of thousands of dollars required to pay for HSCT therapy – this is where Laurie and her family, especially her four loving grandchildren, are asking for your financial support. To help with Laurie’s financial burden, a fundraising campaign in her honor has been established with HelpHOPELive, a trusted nonprofit organization that has been providing community-based fundraising guidance to patients and their families for more than 30 years. All donations are tax-deductible, are held by HelpHOPELive in the North Central Stem Cell Transplant Fund, and are administered by HelpHOPELive for transplant-related expenses only.Laurie has chosen to fundraise with HelpHOPELive in part because HelpHOPELive assures fiscal accountability of funds raised and tax deductibility for donors. Donors can be sure that funds donated will be used only to pay or reimburse medically-related expenses. To make a tax-deductible donation to this fundraising campaign, click on the yellow DONATE NOW button. For more information, please contact HelpHOPELive at 800.642.8399. Thank you for your support! Hi all! A big ty to all that have donated!! And to all that went to my benefit. It was a huge success!!! So appreciative to each and every one of you!! Next up..my car show on July 30th. I can’t wait!! It’s going to be really fun!!! We might do a spirit night soon. I will post when,when we figure it out. Hi! Thought I’d give an update. Fundraising is going pretty good but need so much more…Again I hate asking but I have to do whatever it takes!! 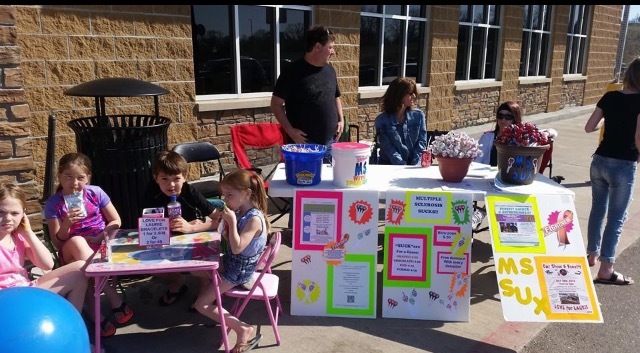 🙂 We’re going to be sitting out front of Walmart in Cottage Grove on April 16 asking for donations and selling suckers and bracelets. Theme is MS SUX!!! Just got back from my neuro. I’m starting a 4day I.V. steroid treatment. Having a MS relapse. (My legs are my enemy!!) Probably from the stress of fundraising..MS and stress are not friends ;). Just reminds me how much I need HSCT!! I want to thank the people who’ve donated!! I can’t express how thankful I am!!! First of all I would like to thank all who have donated!! I can’t express what this means to me! Each one gets me closer to kicking MS to the curb! After my diagnosis my Dr. told me I had to quit my job. I already knew that because I did not have the energy to do it anymore. They got me an office job at NW. I worked it for awhile but my fatigue and cognitive problems made me have to quit. I did some volunteer work at the MS Society for a bit and even got recognized as volunteer of the year. That was cool. Then we moved away and I had to quit. Through the yrs I’ve gotten so many unfortunate symptoms. Which brings me to the present. One of worst ones is my legs! They feel like cement. I have numbness and tingling in them also. Which after running into our garage and causing $1,500 in damage took away my ability to drive. But some good news is I now have hand controls on my steering wheel. Oh ya,I also have to wear a brace on my left leg for foot drop. That’s when you can’t lift your toes up so the foot drags. I fall daily and have gotten pretty banged up. I’ve done this in public many times. Embarrassing myself has become my daily life. But what can you do. I get up and move on. No choice. I have bladder problems, incontinance and retention. I also have bowel issues. Cognitive problems. I forget what I’m talking about in mid sentence. I have a problem with finding words. I can’t concentrate. Short term memory is shot. Fatigue is another issue. I can be fine one minute then overwhelming fatigue hits and I have to lay down or fall down. I fall asleep in movies,my granddaughters dance recitals or just about anywhere. I also have pain 24/7. MS has taken so much from me. I can’t do the simple things in life that everyone takes for granted and I’m getting worse it seems daily now. My 4th disease modifying drug is not working.And can cause a disease called PML,which is a brain disease that causes severe disability or death. That’s a possible side effect of my last two drugs. All I can look forward to is eventually being in a nursing home, in a wheel chair,pooping and peeing in diapers until God decides I’ve had enough and takes me home. I’m desperate and am in a fight for my life!! The problem is it’s so expensive (54,500) plus post drugs,flights for me and a carer that you have to bring with you,food for both for a month and insurance will not pay anything for it. So this is why I need to humble myself and ask for donations. All that know me know I don’t like to ask for help so this is hard for me. Anything big or small would help. Or perhaps a in kind donation for my garage sale,May 5th 6th and 7th or my benefit dinner,May 21st or my car show July 30th. Anything you can give would be so appreciated and bring me closer to my goal of living a life free of MS! “WARNING” This is going to be long. I thought I’d explain a little bit about me and my exciting MS story that I’ve had the joy of living with for the past 17+yrs…Gotta have some humor about it, better that than self pity, because we all know people like that and they aren’t very fun to be around! And if my story could help one person think, ‘Hmm,I’ve had symptoms like that’, I’d be a happy camper to help! I started first having numbness and tingling in my fingers and sides a couple yrs before diagnoses. Dr found nothing. Then I had some dbl. vision,wasn’t too bad so just ignored it. I am sorry I didn't make it to you benefit at the Legion - I'm sure it was a success! I've made a small donation, I hope helps get you closer to what you need - you deserve the best!